Sonic art for the visually minded, is a year-round touring programme dedicated to world-class visual sonic arts, punctuated by an 11-day biennial festival in Glasgow (26 Oct – 5 Nov 2017) and a biennial long weekend at Kings Place, London (20 & 21 Apr 2018). We present exceptional international artists alongside emerging Scottish talent in collaboration with renowned co-producers and venues. 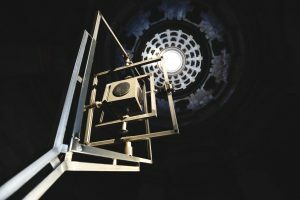 Sonica was launched in Glasgow in November 2012 at Tramway and has toured to Australia, Austria, Brazil, Denmark, France, Indonesia, Mexico, The Netherlands, Slovenia, South Korea, Sweden and across the UK. Since then, Sonica has presented more than 560 events, including performances, installations, exhibitions and screenings by 240 artists from six continents, reaching over 100,000 people. The festival has also hosted 24 world premières, 35 UK premières and 19 Sonica commissions encompassing music, performance, sound, multimedia and visual art. Sonica 2017 Highlights from Cryptic on Vimeo. Created in 2004, soundfestival provides inspiring new music experiences in north-east Scotland each year in October/November. soundfestival’s creative approach to programming encourages audiences and participants to go on a journey of discovery, encountering all kinds of new music and cross-art form experimentation. soundfestival nurtures and supports local and Scottish talent as well as artists from further afield. Firmly rooted in the local community, sound works uniquely with around thirty local partner organisations to commission, programme and deliver diverse and wide-ranging new music projects during soundfestival and throughout the year. sound has commissioned or co-commissioned around 100 works from Scottish, UK and international composers all of which have been premiered at soundfestival. sound regularly collaborates with national and international organisations and ensembles to develop innovative projects supporting the creation and development of new work much of which has not only been presented at soundfestival but in other countries throughout the world. Tectonics Glasgow is a new and experimental music festival co-curated by Ilan Volkov and Alasdair Campbell, proudly presented by BBC Scottish Symphony Orchestra. It takes place at Glasgow’s City Halls, the home of the BBC SSO, every May and launched in 2013. Tectonics’ vibrant and diverse programming, reflecting Ilan’s omnivorous interests in experimental, free improvisation, electronica, folk, world music and new hip-hop, has now been presented 21 times with regular festivals in Adelaide, Oslo, New York, Tel Aviv, Krakow, Athens, Glasgow and Reykjavik. Tectonics Glasgow 2018 will take place from 5-6 May and details about the programme are to be announced in February. Considered to be the electricity powering 'new music', Ilan Volkov launched ‘Tectonics’ in Reykjavik, Glasgow Tectonics followed shortly afterwards. 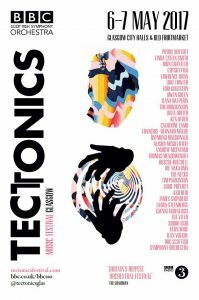 Tectonics’ vibrant and diverse programming, reflecting Ilan’s omnivorous interests in experimental, free improvisation, electronica, folk, world music and new hip-hop, has now been presented 21 times with regular festivals in Adelaide, Oslo, New York, Tel Aviv, Krakow, Athens, Glasgow and Reykjavik. 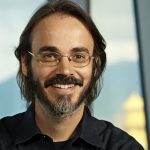 Born in Israel in September 1976, Ilan Volkov began his conducting career at the age of nineteen as Principal Conductor of the London Philharmonic Youth Orchestra and Assistant Conductor of the Boston Symphony. In 2003 he was appointed Principal Conductor of the BBC Scottish Symphony Orchestra and subsequently became its Principal Guest Conductor in 2009. Between 2011 and 2014, he was appointed Music Director and Principal Conductor of the Iceland Symphony Orchestra. Alasdair Campbell is the Creative Producer and Director of AC Projects/Alternative Currents Ltd a new independent arts organisation he launched at the CCA in Glasgow in October 2011. This new company continues the work he established as artistic director of the Tolbooth in Stirling, a post he held for six years, creating a challenging year round programme, commissioning and devising new music projects, curating The Le Weekend Festival of experimental music and creating opportunities for bringing artists together to develop new ways of working in music and the arts in general. 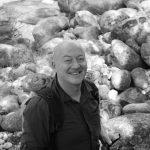 One of Alasdair’s main achievements as artistic director was developing the Tolbooth as a hub of artistic excellence, championing the commissioning of new work and ideas and supporting artists through this creative process. 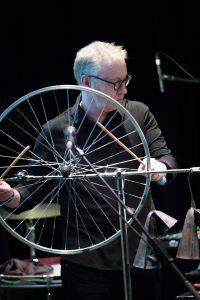 Since then he has created and produced a new festival, Counterflows, and now collaborates with conductor Ilan Volkov and the BBC SSO on the Tectonics festival in Glasgow.